Developed by Joseph Hale Harvey, Harvey, LA was originally a company town at its founding. While a lot has changed since the town was established, business still plays an important role in Harvey today. At Botsay Notary and Insurance Network, we are proud to support Harvey businesses and local residents, by providing a wide range of insurance, Notarial and DMV services. From 4th Street to Lapalco Boulevard, MacArthur Avenue to Manhattan Boulevard, wherever you are in Harvey, LA Botsay Notary and Insurance Network is the name to know! All businesses need insurance, but the kind of commercial insurance you need can vary widely from industry to industry. At Botsay Notary and Insurance Network, we are proud to work with all types of businesses throughout Harvey and the surrounding communities, providing cost-effective business insurance solutions to meet all types of challenges. Our experienced and dedicated agents will work with you to understand your needs, help you minimize risk and compare policies from top rated carriers, so you can be assured you are getting the right coverage at the best value. In addition to commercial insurance, we also offer a wide range of personal insurance programs designed to protect the assets you’ve worked so hard to acquire. Are you looking for Harvey auto insurance? Did you just purchase a new vehicle from Ray Brandy Chrysler Dodge Jeep or Superior Honda? Botsay Notary and Insurance Network is your source for excellent rates on car insurance and motorcycle insurance. In fact, we also offer affordable car insurance for your West Jefferson or Hellen Cox High School students! Since we are a local company, we can provide you with the personal service and claims support you need, when you need it. Why go anywhere else? As a full service Notary Public, Botsay Notary and Insurance Network can meet your needs for a wide range of Notarial work, including: Wills, Power of Attorney, Civil Law and Real Estate. 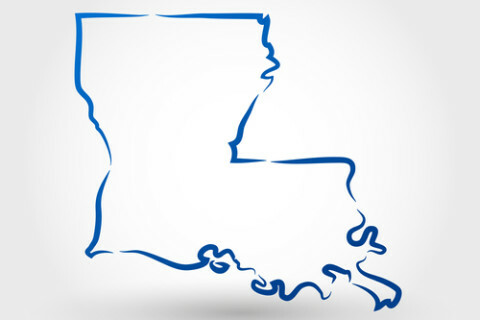 We are also proud to serve as a Louisiana State Authorized Public Tag Agency. So, skip the long lines and the DMV and come right to us! We can provide you with the full scope of DMV service like vehicle registration renewal, tag and title, title transfer and more. Wherever you are in Harvey, LA, whether you are coming to us for auto insurance, business insurance, DMV service or Notarial work, Botsay Notary and Insurance Network is at your service! Contact us today. We look forward to assisting you.